The past week I’ve been playing Rocksmith. It’s a music “game” that aims to teach you how to play the guitar. Unlike the other music games that have come out over the past few years, this one doesn’t just give you a plastic instrument that you push buttons to make what they call music. This game uses a real, honest to goodness electric guitar. It plugs right into my XBox and knows exactly what strings and what frets my fingers are on. It’s been the most fun I’ve ever had learning how to play a new instrument. If you’ve ever wanted to learn how to play but been afraid to make the commitment, this is a great way to get started. Like any good guitar player, I’ve also been putting the fingers on my left hand through quite a workout. While I don’t really have blisters on them, I am getting some nice callouses. It’s been a great experience to spend a little time each day playing music and watching myself get better over time. When I started, I had a hard time playing for very long and I couldn’t keep up with the songs. Now, I don’t really have any stamina problems and the number of songs I can play is growing more and more. The practice mind that one develops when learning a new instrument is similar to the practice mind that one gets from a dedicated Buddhist practice. In both cases, one must develop a solid set of routines that serve to enhance the practice. With music practice, a person learns to play more challenging songs and develops stamina and the ability to think in new ways about songs. In a committed Buddhist practice, the challenges faces are the ones that we all face on a daily basis. The problems of suffering and pain and sorrow are slowly overcome while endurance is built up in a solid meditative practice. This past weekend, for example, I started my day off with a solid hour of meditation. This is something I never would have been able to do when I began to practice. Another interesting parallel that I have noted is that in playing the guitar, I’m trying to build up a strong layer of callous that makes pushing down on the strings easier to do. In my Buddhist practice, I am trying to wear down the mental callouses that have built up over years of exposure to illusion and suffering and attachment. It feels like two sides of the same coin. Building something up or tearing something down with the end result being a stronger practice and greater ability to perform. With all of that in mind, I’m trying to approach living a healthy lifestyle the same way. It is something I need to work on each day. 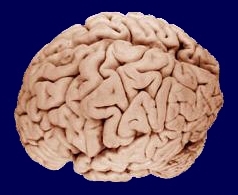 It is hard to make a lot of headway at first. It seems like something that is almost impossible to do. It will require building up of new habits and tearing down of old ones. In the end, with repetition and diligence, I will see valuable results. Besides the obvious dangers of weight gain, there is an equally important thing to keep in mind: when you eat mindlessly, you often don’t watch what you are putting into your mouth. This happened to me tonight and I’m still paying for it. Proceed with caution and heed my words of warning. One of the healthier things I like to snack on are wasabi peas. These little bad boys can pack a wallop if you’re not careful about what you’re doing. Queue the horror movie music because tonight I wasn’t careful. I was sitting on the couch enjoying the wasabi peas while my kids did their homework. I was paying more attention to them than I was to what I was eating and my hand was repetitively going from mouth to bowl to mouth to bowl. This is where the camera zooms in on one specific wasabi pea and the music looms larger as my fingers brush against it. I don’t know if it was my son or daughter who asked me about a math problem but I was definitely answering their question when I grabbed IT: a wasabi pea sized ball of wasabi flavoring. If you have never seen or eaten wasabi peas, you need to understand their anatomy to realize what I had done. Wasabi peas are dried green peas covered in wasabi powder to give them that traditional sinus clearing kick of my favorite sushi condiment (see picture below). It’s not too bad though and I can usually eat them by the handful. This time, I was grabbing only one at a time as I was answering math questions and didn’t want to talk with my mouth full. That was the only good thing about what happened next. The little ball of pure wasabi flavoring was lodged between my fingers and then flew gracefully into my mouth. Picture this in Matrix style slow motion for proper effect. As my teeth clamp down on the little ball of powder imagine it exploding into fine particles and coating my tongue and that little thing that hangs down in the back of the throat. Time froze. My brain skipped a beat. My eyes attempted to make an emergency exit from their sockets. My nose, oh my poor poor nose, began searing as every square millimeter of my sinus cavities cried out in pain and, unlike Alderan, were not suddenly cut short. My tongue was on fire. This was the pure essence of wasabi. I had popped a ball of pure hot white wasabi into my mouth and sucked it back like Gary Busey snorting coke off a dog’s back. Hours later my tongue still felt the residual burn of the wasabi. I don’t know how I managed to keep my composure while I sat there on the couch. I coughed a few times, wiped the tears from my eyes and continued to help the kids with their homework. It was not my finest moment. Consider yourself warned. Mindless eating is bad for you. It can contribute to weight gain and it can cause you to put a large pea sized ball of wasabi flavoring into your mouth causing you hours of pain. Maybe I should have stopped eating the wasabi peas after that but I still had some in the bowl and I’m not one to quit early. That’s the other thing about mindless eating: you usually do it until the food runs out. Even when you have just had a near-death experience with the horseradish from hell. Last Saturday night, the kids really wanted spaghetti for dinner. It had been a long time since we’d had it so I whipped up some sauce and made the spaghetti. Overall, it was a good, quick dinner. I even kept my portion down to a reasonable level. It was great for me since I hadn’t had pasta like that in a long time. Later that night, after putting the kids to bed I found myself back in the kitchen doing a little clean up work. That’s when things went sour for me. I saw the pot of leftover pasta and I grabbed a few strands to “test” them to see if it was still OK and able to be saved. The next thing I know, I’m shoveling handfuls of cold pasta down my gullet like some kind of hungry bird at a worm farm. This was not the first time something like this has happened to me. That used to be my normal way to” put away” pasta. I absolutely love the stuff and I used to eat pasta four to five times a week. The thing is, I wasn’t planning on eating that way this time. As soon as I had eaten two strands of the pasta, I just kept doing it mindlessly. It felt so comfortable that I didn’t have to think about what I was doing. This is what Savor calls “habit energy”. It is habit energy that allows us to eat mindlessly and put away calories without realizing what we are doing. The thing about habit energy is that it’s a lot like inertia: once it starts, it just wants to keep on going. For a number of months, that particular part of my habit energy had been at rest and had been pretty happy being at rest. However, it didn’t take much of a push for it to get moving again and it wanted to make up for lost time. I probably ate another one and a half servings of spaghetti before I stopped myself and walked away from the kitchen the rest of the night and went back to learning about programming for the Android. This was the harshest lesson I’ve had in the power of habit energy yet. Besides giving in to an old habit, the thing that annoyed me the most about this was that I had just written a post earlier that evening about finding things that keep our minds busy and prevent us from mindlessly eating. I think I was mad at myself because I’d been caught up in pride about my ability to resist giving in to bad habits and influences only to fall like that about 2 hours later. So, I’ve gone back to the beginning and worked on forgiving myself for engaging in this unhealthy behavior and I’ve done some self-examination about how to prevent it in the future. For me, the easiest thing would be to put the food away as soon as I’m done eating and am full enough to not want to eat anything more. I’d also know that the item is good to store and saved for later. If I wait for a couple of hours, I will have allowed myself to get hungry again and the thought of shoveling back handfuls of pasta could be too appealing for me to resist. That’s how I plan to deal with this in the future when confronted with this situation. The past can’t be changed and there’s nothing I can do about it. The great thing about the Four Noble Truths and the Eightfold path is that it provides a framework for me to think about what the right action is to take when presented with this situation again. I need not suffer needlessly for giving into my habit energy if I plan ahead. I’ve already figured out how to do this with the upcoming holiday season. If you don’t have a plan for navigating the dangerous waters of Thanksgiving and Christmas and all of the food and deliciousness that accompanies them, work out your plans now. Don’t wait until “Fat Thursday” rolls around to try and mitigate the problem then. It’ll be too late. I’m doing the same thing now with Halloween candy. I had my one piece of it last night with the kids and now I’m done with it (hopefully). Planning is easy, putting the plan into practice is harder. Hopefully I’ll be able to do it and continue on my way to reaching the 250 mark later this year. The weight that I have on this site is actually the middle point between the two scales that I weigh myself on each day. One says I’m at 265 while the other has me at around 275. Regardless of which one I’m going by, I’m still on track and still losing weight. As long as I keep my habit energy at rest I should be able to continue to ride my positive energy through the new year and into 2011 with a body that is healthier than the one I had in 2001. Regardless of what happens, it’ll be a fun ride. Today was one of those days that I really enjoy. I’ve done very little but what I have done was great. I got a new phone: the Motorola Droid 2. It’s much nicer than the one I had previously and, the best thing is, it’s on an open platform and you’re able to create applications for it if you happen to be one of those types of people who actually enjoys the arduous process of developing applications and learning programming techniques for a mobile platform. I just happen to possess that kind of craziness so I’m downloading and installing the development tools for the Android phone now. There are very few things in life that make me happier than learning something new. I have a few ideas about applications that I’d like to make so I’m looking forward to being able to dig into the API (Application Programing Interface) documentation and learning the ins and outs of how to make programs for this platform. Another benefit of being able to learn is that it gives me something to pay attention to rather than sitting around and potentially eating or allowing unhealthy impulses get the best of me. Sure, mindfulness and meditation and exercise are great tools for becoming healthier, but sometimes you need something different to do. For me that’s learning. What type of techniques do you use to assist in your goal of living a healthy lifestyle? What kind of hobbies or interests do you have that give you joy and help you to live the life you want to live? While you answer these questions, I’ll be digging through technical manuals and language references. Sounds like fun doesn’t it?! There are a few things up here in Maine that they just don’t have in Ohio. It’s great to get to experience these things as they are local items that add a uniqueness to where you live. It sets your region apart from everywhere else. Sure, we all have a McDonald’s and an Applebees and other purveyors of swill but in Cincinnati we had Skyline Chili. Up here there are three things that are unique to Maine. The first is a soft drink called Moxie. I’ve had it twice and that’s enough for me. Some people up here love it but I don’t feel the love. I think it’s a flavor you had to grow up with to appreciate. Secondly, there is something a lot of the pizza places make up here: the spaghetti calzone. This is exactly what it sounds like: a calzone that’s been stuffed with spaghetti and sauce. I love these. This is the perfect union of carbs in one easy to transport package. Add meat sauce to the pasta that has been lovingly stuffed into dough and you’re set for at least three meals worth of caloric and carbohydrate goodness. Needless to say, I don’t eat them any more. I can’t even begin to tell you how sweet these things are. Seriously, they are diabetes in a wrapper. I don’t know who invented these things but they are an avalanche of sweetness and will give you a sugar rush two bites in. Even a hard-core sweet tooth like me couldn’t stand to eat an entire one. These things come in a bunch of different flavors too. Chocolate or Pumpkin cake or some other variation of cake and many different types of icing. My favorites were peanut butter and mint. I never ate these things very frequently but this is one of the things (along with the spaghetti calzone) that I find myself thinking about when my mind wanders into the danger zone of cravings. Tonight, I stared down an entire tray of whoopie pies and resisted the urge to pick one up. I really thought about grabbing one and eating it in the car on my way home. After all, who’d know? I was by myself and nobody would see me eating it. 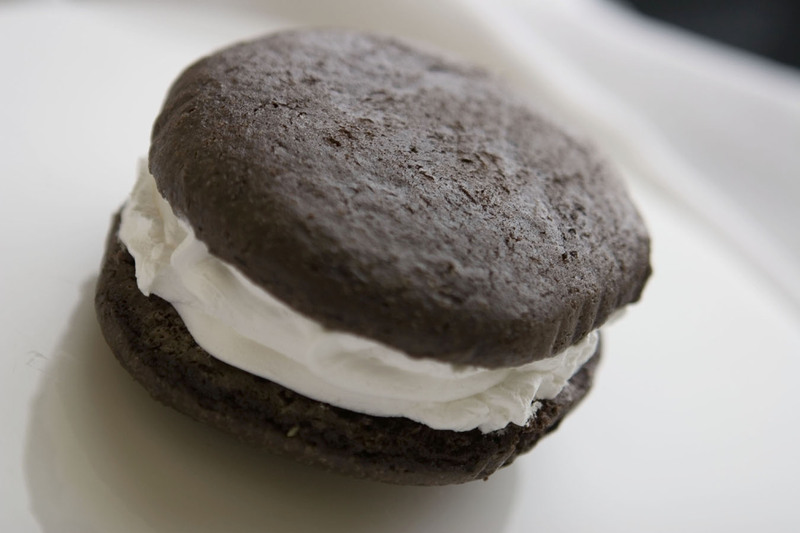 Besides, what would one little whoopie pie hurt really? I’ll tell you who’d be hurt by that one little whoopie pie: me. And my family. And my friends. And the wonderful people that I have met because of this blog. While thinking about giving into temptation, I was able to keep each and every one of you in mind and know that I would have to be writing an entirely different kind of post if I ended up giving in and eating it. So, allow me to cry, “Whoopee, I avoided the whoopie! !” And I’ll shout out a big “Whoopee” to all of you too. For everyone who has posted and given me encouragement and thanked me for what I have been doing, now it’s my turn to thank and encourage you. Keep visiting and coming back. None of us are in our journey alone. We need each other to get through life: both the good times and the bad. Tonight, I’m going to bed happy that I had a victory and thankful for all the wonderful people in my life who I feel connected to enough to care about how my giving in to temptation would let them down. Whoopee!